Stay on top of events, and deliver better customer experience, by automatically Identifying and then minimising threats to your service levels as your day unfolds. Accelerate your training programmes by taking advantage of any quiet times in your day, safe in the knowledge that your service levels are being protected automatically. Serve customers more quickly with happier, better trained, staff that can resolve issues on first contact and convert more opportunities to sales. 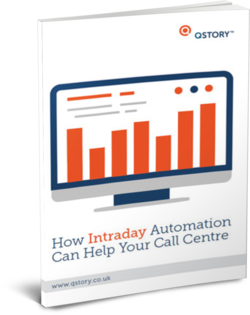 Read how Intraday Automation can keep you ahead of the game, and help lift staff skill levels and morale.